Instant downloads of all 945 LitChart PDFs (including A Valediction: Forbidding Mourning). John Donne, a 17th-century writer, politician, lawyer, and priest, wrote "A Valediction: Forbidding Mourning" on the occasion of parting from his wife, Anne More Donne, in 1611. Donne was going on a diplomatic mission to France, leaving his wife behind in England. A "valediction" is a farewell speech. This poem cautions against grief about separation, and affirms the special, particular love the speaker and his lover share. Like most of Donne's poems, it was not published until after his death. 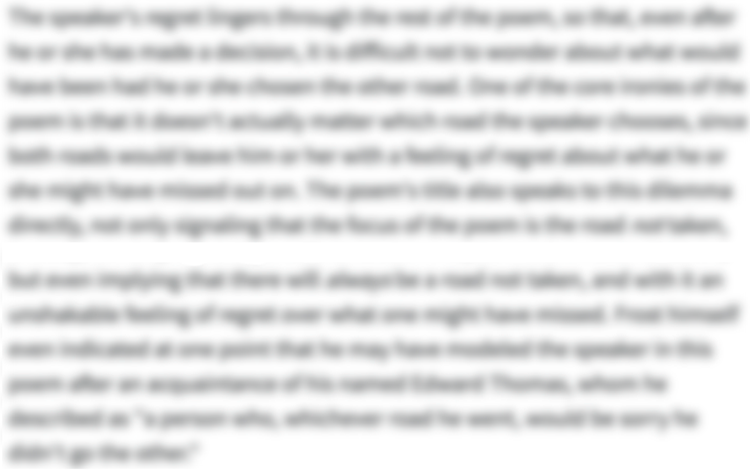 You can read the full text of “A Valediction: Forbidding Mourning” here. 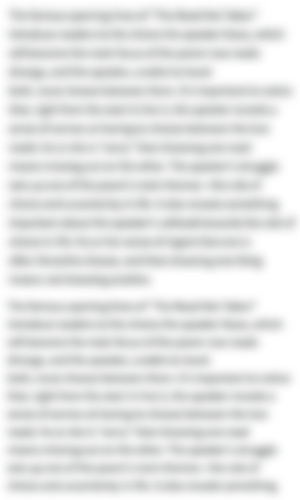 Get the entire guide to “A Valediction: Forbidding Mourning” as a printable PDF. Download it! 8 To tell the laity our love. 12 Though greater far, is innocent. 16 Those things which elemented it. 20 Care less, eyes, lips, and hands to miss. 24 Like gold to airy thinness beat. 28 To move, but doth, if the other do. 32 And grows erect, as that comes home. 36 And makes me end where I begun. Unlock all 280 words of this analysis of Lines 1-4 of “A Valediction: Forbidding Mourning,” and get the Line-by-Line Analysis for every poem we cover. 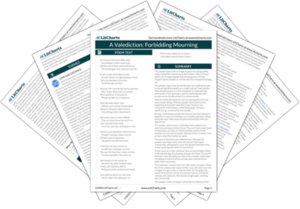 Unlock all 408 words of this analysis of Lines 5-8 of “A Valediction: Forbidding Mourning,” and get the Line-by-Line Analysis for every poem we cover. Unlock all 380 words of this analysis of Lines 9-12 of “A Valediction: Forbidding Mourning,” and get the Line-by-Line Analysis for every poem we cover. Unlock all 251 words of this analysis of Lines 13-16 of “A Valediction: Forbidding Mourning,” and get the Line-by-Line Analysis for every poem we cover. Unlock all 249 words of this analysis of Lines 17-20 of “A Valediction: Forbidding Mourning,” and get the Line-by-Line Analysis for every poem we cover. Unlock all 324 words of this analysis of Lines 21-24 of “A Valediction: Forbidding Mourning,” and get the Line-by-Line Analysis for every poem we cover. Unlock all 262 words of this analysis of Lines 25-28 of “A Valediction: Forbidding Mourning,” and get the Line-by-Line Analysis for every poem we cover. Unlock all 263 words of this analysis of Lines 29-32 of “A Valediction: Forbidding Mourning,” and get the Line-by-Line Analysis for every poem we cover. Unlock all 354 words of this analysis of Lines 33-36 of “A Valediction: Forbidding Mourning,” and get the Line-by-Line Analysis for every poem we cover. Unlock all 172 words of this analysis of simile in “A Valediction: Forbidding Mourning,” and get the poetic device analyses for every poem we cover. Unlock all 240 words of this analysis of conceit in “A Valediction: Forbidding Mourning,” and get the poetic device analyses for every poem we cover. Unlock all 147 words of this analysis of hyperbole in “A Valediction: Forbidding Mourning,” and get the poetic device analyses for every poem we cover. Unlock all 152 words of this analysis of alliteration in “A Valediction: Forbidding Mourning,” and get the poetic device analyses for every poem we cover. Unlock all 189 words of this analysis of enjambment in “A Valediction: Forbidding Mourning,” and get the poetic device analyses for every poem we cover. Unlock all 165 words of this analysis of diacope in “A Valediction: Forbidding Mourning,” and get the poetic device analyses for every poem we cover. Unlock all 162 words of this analysis of apostrophe in “A Valediction: Forbidding Mourning,” and get the poetic device analyses for every poem we cover. Unlock all 179 words of this analysis of personification in “A Valediction: Forbidding Mourning,” and get the poetic device analyses for every poem we cover. Unlock all 256 words of this analysis of metaphor in “A Valediction: Forbidding Mourning,” and get the poetic device analyses for every poem we cover. Unlock all 178 words of this analysis of paradox in “A Valediction: Forbidding Mourning,” and get the poetic device analyses for every poem we cover. John Donne's Biography — A detailed overview of Donne's life and work, provided by the Poetry Foundation. A Brief Guide to Metaphysical Poets — A short overview and explanation of Metaphysical Poetry, provided by the Academy of American Poets. Ptolemaic Astronomy — A more in-depth explanation of the Ptolemaic model of the cosmos, by M.S. Mahoney. Listen to "A Valediction: Forbidding Mourning" — Audio and text of the poem, provided by the Poetry Foundation. The Reformation — A brief overview of the Protestant Reformation and its effect on Europe leading up to Donne's day. The Enlightenment — An overview of the Enlightenment period in Europe, following the Baroque era in which Donne and his contemporaries wrote. O'Brien, Liam. "A Valediction: Forbidding Mourning." LitCharts. LitCharts LLC, 23 Jan 2019. Web. 4 Apr 2019. O'Brien, Liam. "A Valediction: Forbidding Mourning." LitCharts LLC, January 23, 2019. Retrieved April 4, 2019. https://www.litcharts.com/poetry/john-donne/john-donne-a-valediction-forbidding-mourning.